Mysteryland USA has become a staple of East Coast festival goers in recent years. Even with its promoter’s future in limbo, the festival has unveiled a third and final lineup phase solidifying it as an occasion not to be missed. 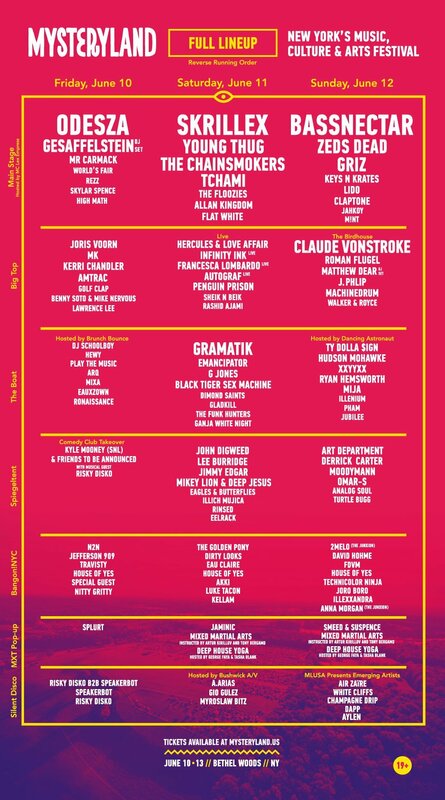 Mysteryland USA already announced ODESZA, Skrillex and Bassnectar as its main headliners and Art Department, Joris Voorn, Eagles & Butterflies and Hudson Mohawk (among others) as part of the festival’s phase 2 lineup a couple weeks ago. Now, the phase 3 lineup announcement is here and it includes names like Autograf, Amtrac, Machinedrum and Penguin Prison, to name just a few. In addition, the phase 3 lineup takes the form of a by-day chart so that fans can more or less plan their festival itineraries. 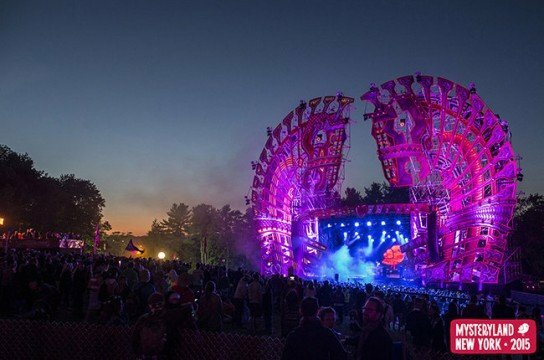 Mysteryland USA‘s 2016 edition will take place from June 10th-13th in Bethel Woods, New York. If you’re planning to attend, take a look at the full lineup by day below and then make a trip down to the comments section to let us know who you most look forward to seeing.